On one of our municipal client's towers, Sprint submitted a request to replace three existing antennas with new antennas that add 2.5GHz capability to their equipment. The subject tower is in a difficult zoning jurisdiction and one where Sprint really doesn't have any other options. Their collocation rent was on the higher side but not unreasonably so- and the three other wireless service providers were all paying the same or higher rent. Because the antennas were the same size or smaller, we did not recommend a rent increase for them. However, Sprint was adding remote radio units and other equipment so we recommended a fairly nominal increase. 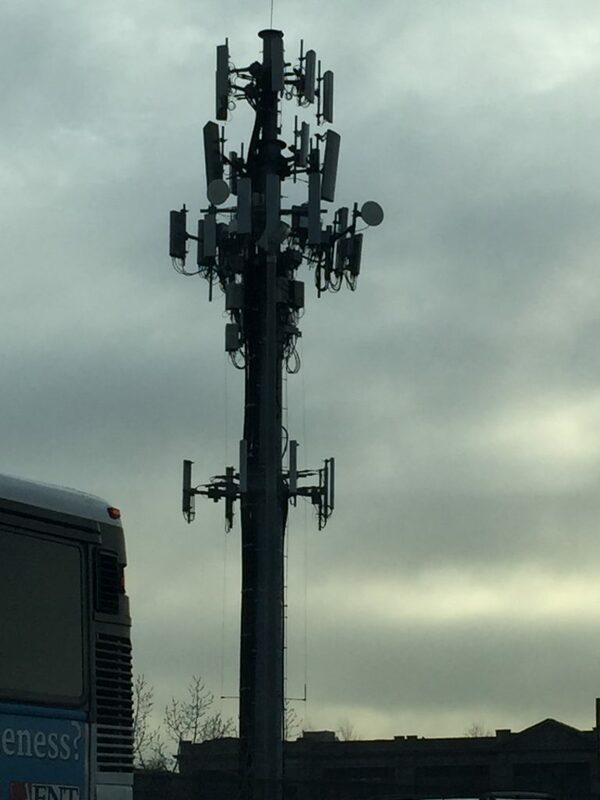 Rather than accept the newly proposed lease terms, Sprint instead asked whether they could replace the existing equipment on the tower with three of these antennas and get a reduction in rent. 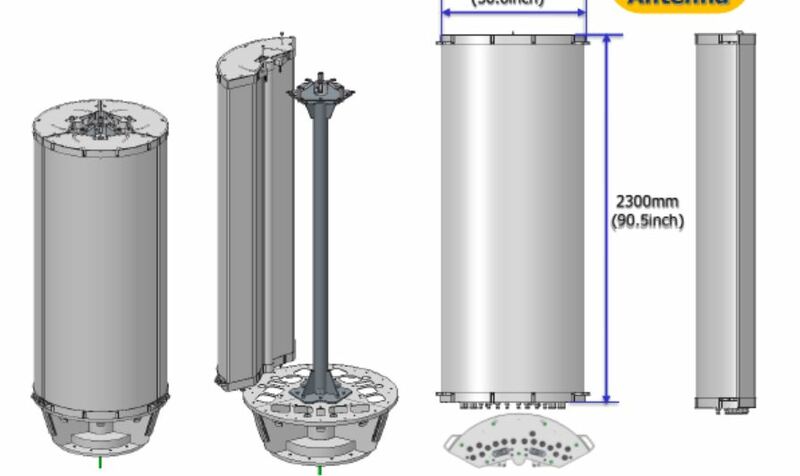 The proposed antennas are larger than the existing antennas, but Sprint appears to be wanting to go from 9 panels to 3 of these antennas. (Not 3 of the canisters) These panels will accommodate all of Sprint's spectrum bands but would seemingly limit their capacity and number of simultaneous users. These appear more suitable for a mini-macro as opposed to a macrocell, but I would welcome any thoughts readers have regarding this topic. At the end of the day, we advised the client that the value of their tower is its unique location, not the specific loading that Sprint is placing or removing from the tower. Obviously, there will be situations where a reduction in loading or equipment would justify a reduction in lease rate, but this isn't one of them. In the Florida House of Representatives, a bill is being pushed through to significantly limit the control that a local municipality can exert over small cell installations. The bill also limits the fees that a city may charge for access to municipal poles. In committee hearings, Rep. Nicholas Duran (D-Miami) said that the “City of Miami actually is the second worst city in connectivity—digital divide—in our state and in this country in many respects, so for me, this is a question of how can we break down this digital divide.” While the goal of decreasing the digital divide is certainly an admirable one, one has to question how likely it is that small cells will be deployed in areas that don't already have sufficient wireless coverage. Certainly, increasing capacity in underserved areas is beneficial. However, the bill doesn't encourage or regulate where small cells are deployed, letting the industry decide on its own where they should go. One has to question whether this specific bill will remedy the issues related to the digital divide, especially when considering how the wireless companies tend to deploy infrastructure in the areas where they profit most, not where lower income and disadvantaged people reside. For an example of this, see this article about how AT&T deploys fiber differently to rich and poor areas. 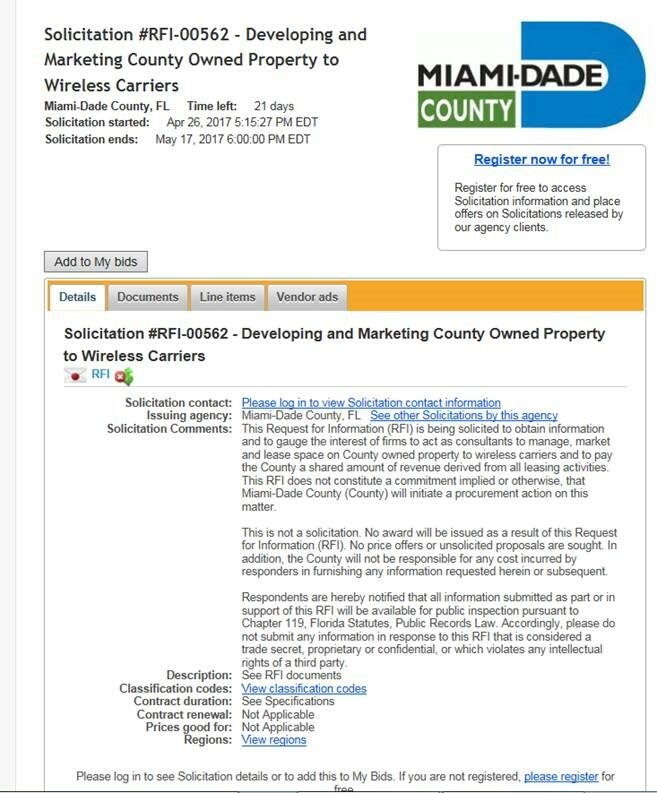 Simultaneously, Miami/Dade, the combined City/County government in which Rep. Duran resides issued an RFI for the management of City/County owned properties. This specific RFI has been debated for years. Various requests and meetings have been put forth to the wireless industry over that time frame with the City/County choosing not to move forward for various reasons. We previously attended a meeting at Miami/Dade ourselves. The irony here though is hard to miss. First, in delaying this RFI/RFP process for years, Miami/Dade has missed out on a significant amount of interest in its property. Secondly, if the Florida legislature is successful at reducing the fee structure for what municipalities can charge for access to their poles, Miami/Dade will not only get far less than it would have without such legislation but it will also reduce the effectiveness of the RFI. Respondents will have less incentive to respond because there is less incentive for wireless companies to build macrocells on public property if they can use the ROW at virtually no cost. Furthermore, with the fee cap, Rep. Duran's specific district and its taxpayers will generate less revenue while incurring additional incremental costs from having to manage and maintain poles that were built with taxpayer money but which are being used by private companies for profit. Obviously, this is a tradeoff that Rep. Duran and others could have legitimately decided was worth taking. We aren't trying to criticize him or anyone else for making that choice- just trying to point out how complex the issues related to small cells and densification are for state legislators. While the wireless industry has been successful at simplifying them to "you are voting against technological advancement", the issues aren't remotely that simple and there will be far-reaching but inherently local impacts for years to come. Sprint’s Network Overhaul- Radical Impact on AMT, CCI, and SBAC? The website Re/code posted an unconfirmed article on Friday re: Sprint’s Next Generation Network which stated “sources familiar with the initiative said Sprint plans to cut its network costs by relocating its radio equipment from tower space it has leased from Crown Castle and American Tower to spots on government owned properties which costs much less.” [Read more…] about Sprint’s Network Overhaul- Radical Impact on AMT, CCI, and SBAC?